It’s been long time I’m not updating my blog, it’s not because I’m lazy. I have 2 very solid reasons. I’ve been involved in car accident as a passenger on 11/1/2015 that cause my right humerus bone fracture into pieces and in needs of surgery to install 7 inches plate. Since up until now I’m eating using left hand, so I can’t do much with my car. There is only a little progress. 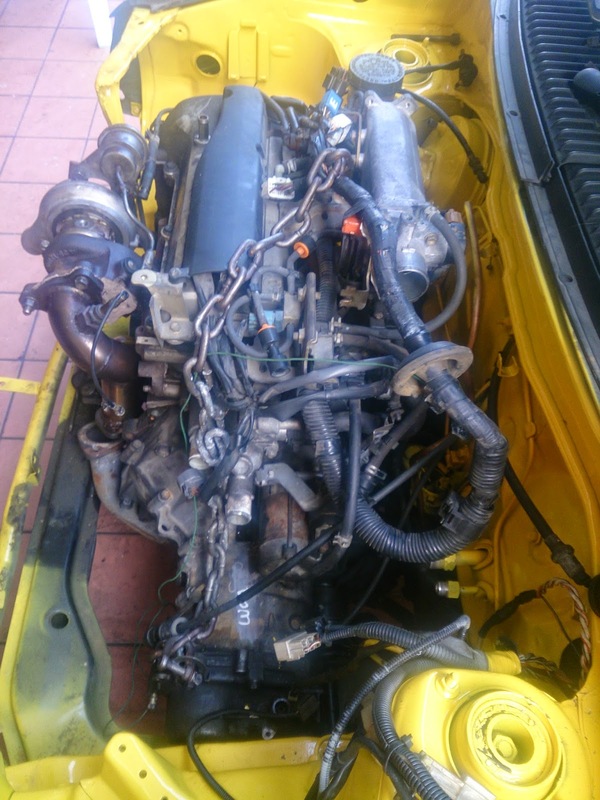 Picture update of my Kancil progress to transplant JB-DET engine from Daihatsu Move l902s which is produce same power as my previous JB-JL engine except the torque on JB-DET come earlier. I’m still using the same gearbox and steering rack from my previous l6 JB-JL engine. The turbo which is MHI TF035, taken from my previous setup is transfer to my new engine. 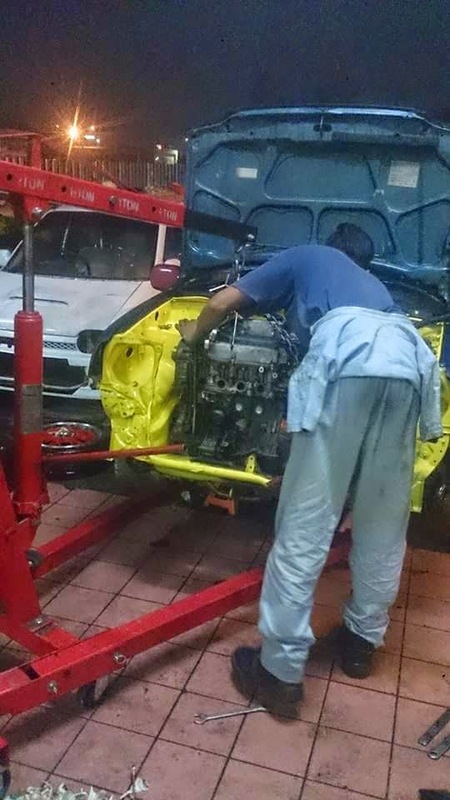 While I’m rehabilitation to recover from my injury, I’ve been online shopped a lot of car accessories and parts for my Kancil in preparation for SNF international 2015 kei car road spec category. So, in my next post hopefully all 6 works that need to be done are settle by early of March, I’ll bring you all to my car journey to become semi-race prep car(why semi-race prep? because the car will still have air-conditioner and radio with a lot of addition to be legally and safe on tracks). Can’t wait for my next upgrades and can’t wait for my right hand to be 100% functioning back. 6 Responses to "Kancil ED-DE to JB-JL to JB-DET"
Sorry to read of your accident, hope recovery is going well. Recovery is going well for me as it's been a year past..but for my car, it still in the process of recovery..
Hi there brother. How are you? Hope you making progresa on ur health.